Guy Burgess died in Moscow in 1963. His ashes were returned to Britain for burial in his family's plot to the north of the church tower. 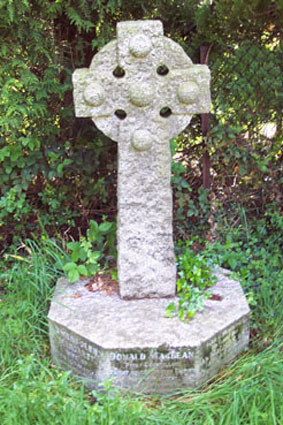 The grave is marked by a cross erected in the memory of his father who died in 1924. On the side is the inscription "Guy Francis De Moncy Burgess,d.30 August 1963". The 1930s was the decade of the Great Slump. Millions of workers in Britain and the rest of the capitalist world lost their jobs and were driven to poverty. In Europe the rich were turning to open dictatorship and fascism to crush the communist and workers movements. A fascist dictatorship had already been established in Italy with the support of the monarchy in the Twenties. In 1933 Hitler's Nazis came to power. Three years later Spanish fascists and reactionaries tried to seize power plunging the country into terrible civil war. In British universities, then largely the prerogative of the ruling class, some students embraced the communist ideal. Some joined the workers movement, others fought in Spain. And at Cambridge a group of students took the principled decision to struggle for peace by working as agents of the Soviet Union. The story of Burgess, Maclean, Philby and Blunt is well-known. What perhaps is not known is that two of them, Burgess and Maclean, now lie buried in their home country. 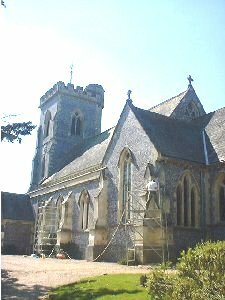 Guy Burgess' ashes lie in his family's plot at St John Evangelist, in the village of West Meon. Donald Duart Maclean died in Moscow in 1983. His ashes were laid to rest alongside the graves of his father and mother at Trinity Church, Penn. Their names are engraved on a granite Celtic cross.